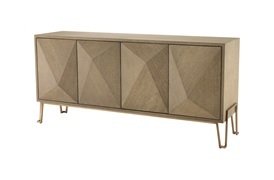 A mirrored placement of geometrical patterns creates an interesting and vibrant yet balanced effect. 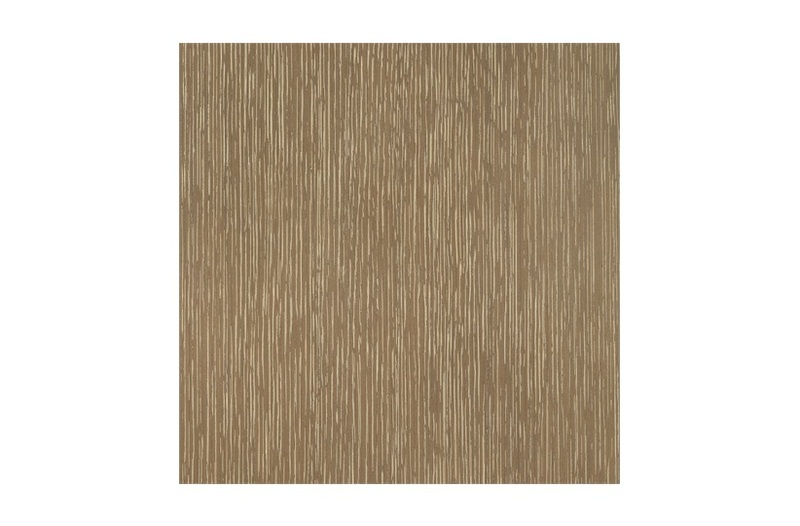 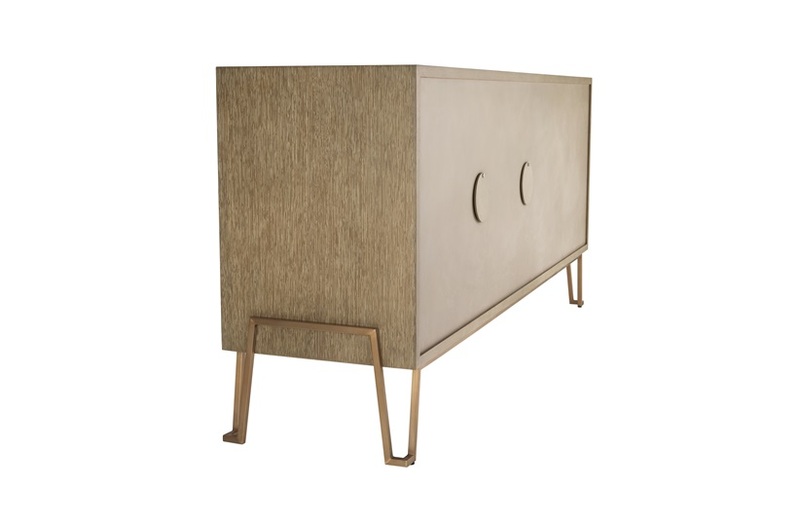 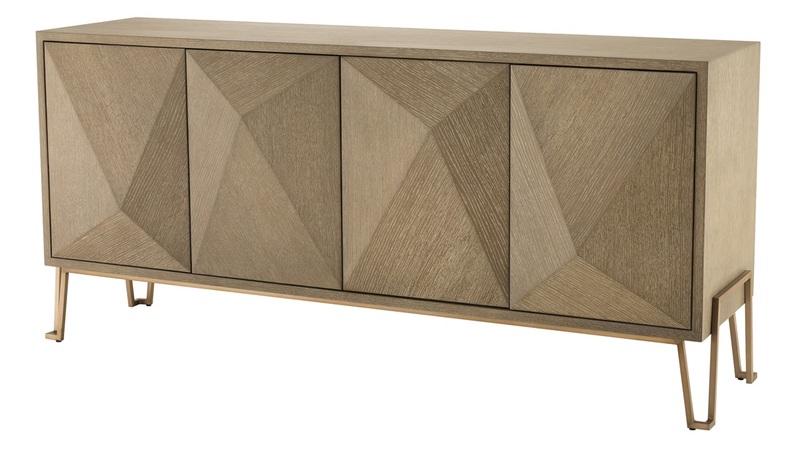 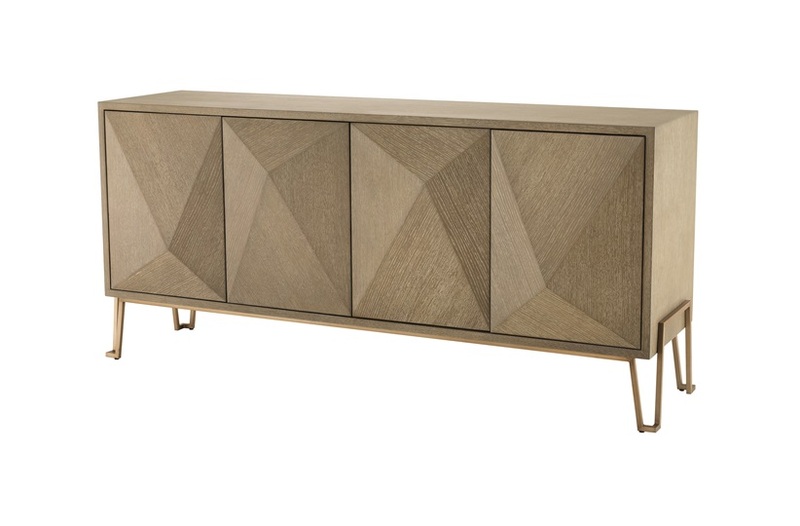 Minimal in its shape our contemporary sideboard is the subtle background for the doors with the oak veneer marquetry patterned effect to stand out. 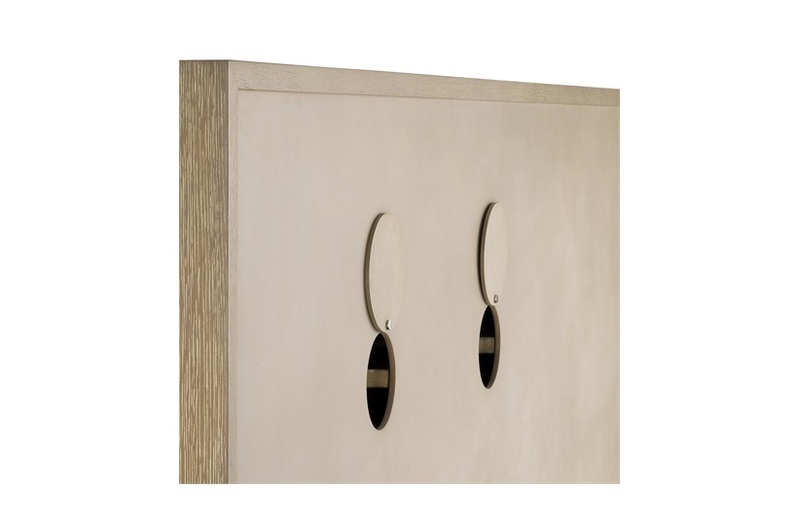 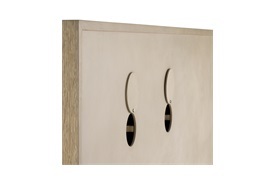 The push catch open/close mechanism allows for no compromise with extra details in the beautifully designed doors. 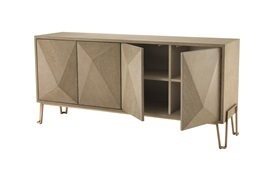 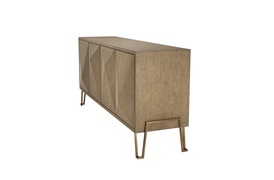 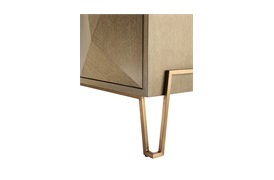 A brushed brass finish frame with a geometrical design embraces the sideboard, adding an unexpected and opulent detail. A luxury sideboard that is a pure feast to the eyes.